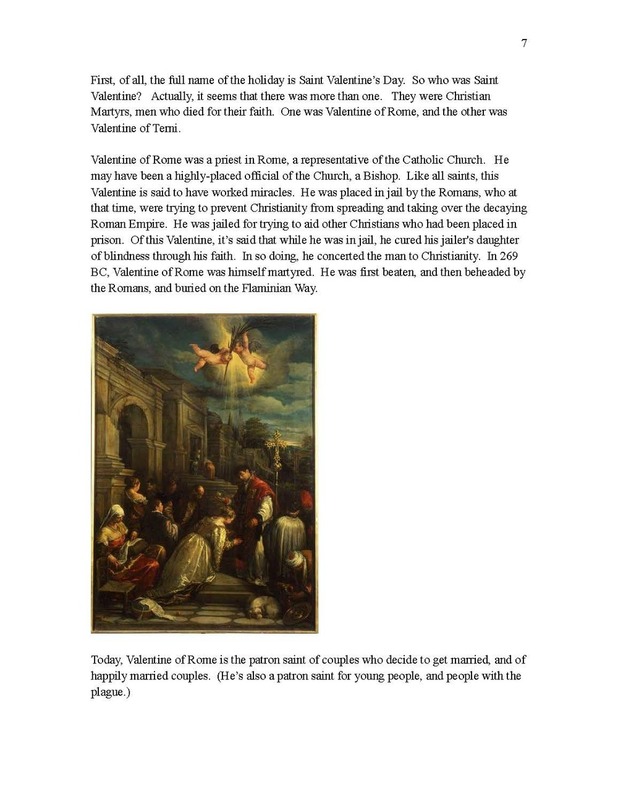 Another in our series of History /Creative Writing electives, this unique series offers courses that explain the history of a holiday, and then offers the student a creative outlet developed from our remarkable creative writing program. This Valentine's Day course offers two new, unique and fun additions to the program! 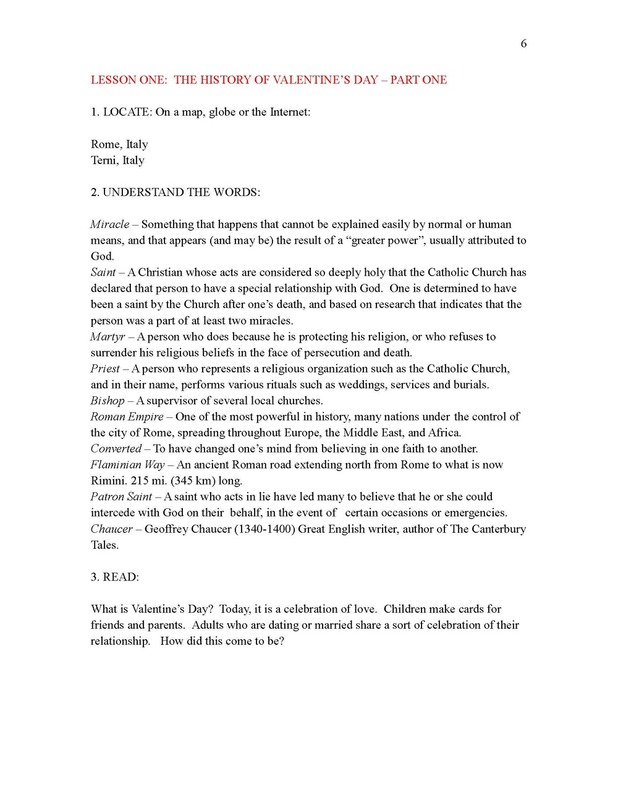 The longest course in the series, the course starts with a history of Valentine's Day , a history based around two mysterious Catholic Saints of long ago, about which little is known. The history develops in a most unusual way, through a "court of love" in Paris, to modern times. After the history, and since this course is for Valentine's Day , the student is introduced to some basic ideas of poetry, including rhyming. 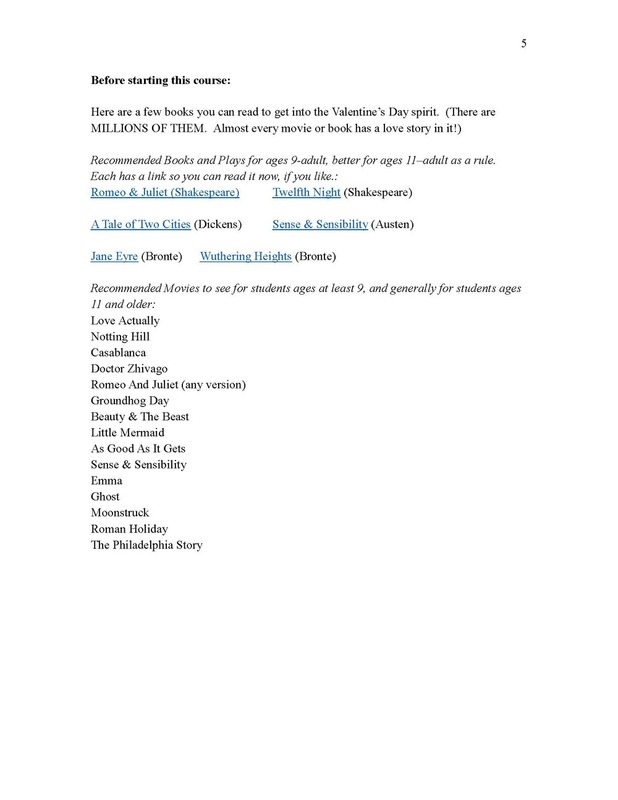 The student quickly studies some great "love poems" by Shakespeare, Kipling and others, and then authors poems for the holiday of his own. This poetry section is a new development in the program, exclusive to this course! After poetry, as is true in all our History /Creative Writing courses, the student spends the bulk of this course being led step-by-step through the authoring of two original stories. In this case, the stories are based around various ideas the student wishes to write about, regarding love. Many of the elements of good story telling are introduced, including character development and plotting.